Many industrial processes and plants utilize steam in their operations. The generation and use of steam is one of the oldest industrial processes and is so well understood that it may be considered more of a utility than part an industrial process. 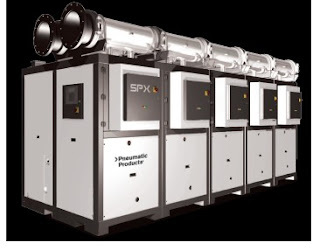 Whatever the case, if your process or installation uses steam, then steam is a necessary input for successful operation. Keeping your steam system performing at capacity frees up time and resources for the more complex aspects of your work. If steam is not consumed directly by the process as a component input, it is steam's heat of vaporization that is utilized by the operation. Efficient use of steam as a heating medium results in the conversion of vapor to liquid (water). Returning the liquid condensate back to the boiler for conversion to vapor again is a necessary step in the efficient operation of a closed loop system. Condensate return systems are certainly not high technology, but keep in mind that a steam system may be the lifeblood of not just one, but many operations throughout a plant. 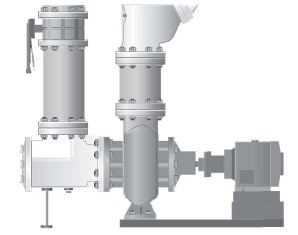 Avoiding downtime in the steam system, of which the condensate return pump is an integral part, ranks highly on the list of "Important Things for Plant Operations". Condensate return is critical. 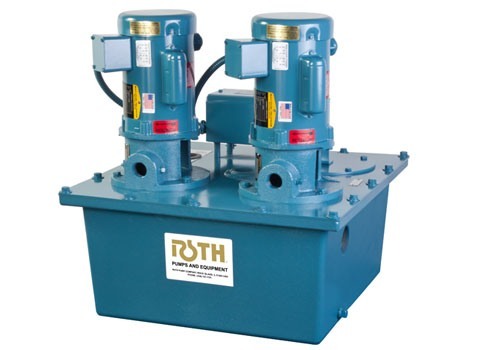 What are some strong attributes of a good and reliable condensate return pump? Minimize or eliminate cavitation at high temperatures. Cavitation will impede pump performance and cause premature deterioration of pump and drive components. Ability to handle a high load during cold starts through motor and pump design. 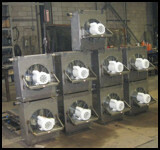 Design and configuration to handle high temperatures without deterioration of pump and motor. Develop higher pressure at lower motor speeds for extended service life. Avoidance of mechanical seals below water line. Consider a single unit with dual pumps for handling high loads and extending service life. Specifying and installing a solidly designed and built condensate return pump may require an investment of your time and consideration. The return on that investment will be reduced maintenance, repair, and downtime. Talk to a product specialist about your steam system. Combining your intimate operational knowledge and experience with their deep product knowledge and experience with many installations will yield a good solution. Courtesy Titan Flow Control, Inc. Liquid handling in industrial processes commonly involves the provision of a pump to move the fluid in the desired manner. Industrial pumps operate best and longest when they are provided with inlet conditions within a range for which the pump is designed. Two conditions prevalent among many pumps are low levels of particulate matter greater than a tolerable size and minimized turbulence at the pump inlet. Piping and specialties approaching the pump inlet should be arranged to provide these conditions to promote low vibration, energy savings, and a long service life. An effective way to provide pump protection, save installation space, and reduce the probable demands for maintenance and service over the machine's expected operating life is to specify and install a suction diffuser at the pump inlet. There are numerous advantages to this approach. 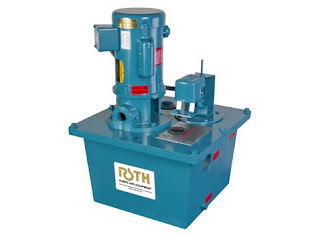 The unit is mounted directly to the inlet side of the pump, saving space and additional connection points. An integral strainer prevents unwanted materials from entering the pump inlet. Straightening vanes on the outlet side of the suction diffuser reduce turbulence in the flow entering the pump. Provision of a suction diffuser reduces the total parts count and connection points (joints) approaching the pump inlet. 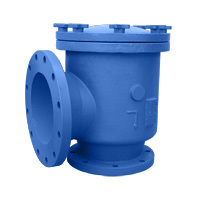 A single cast unit takes the place of a strainer, reducing elbow, and entrance pipe. 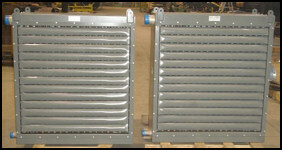 Reduced installation time and cost are achieved using the integral design of the suction diffuser. Suction Diffuser shown installed on pump inlet. A suction diffuser may not be the most exciting specialty you ever install, but the benefits of its use warrant your attention. It's one of those simple product ideas that contributes to a good pump installation you can confidently sign off on. You can find out more by reaching out to a product expert and discussing your potential application. ISTEC Corporation’s Aquametro Domino line of Chemical Flow Meters provide accurate measurement of water and liquid chemical flows using rotary piston or vane wheel technology. 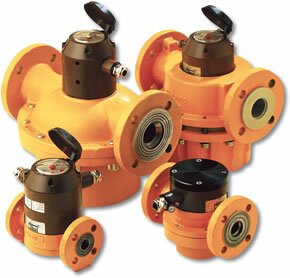 Versions of the instruments are designed for use in safe and hazardous areas (ATEX). The Domino line has flexible mounting configurations to minimize installation space, and is suitable for conductive or non-conductive liquids. Proper operation and accuracy of the instrument is not diminished by flow disturbances. The rugged units are manufactured in a wide array of sizes and configurations to accommodate every application. Review the product literature below, or contact a product specialist to discuss your water or liquid chemical flow measurement requirement.